The band has released its first live album, recorded at FTC StageOne on April 6th of last year. The album is now available in all online retail stores and also in our online store (you can purchase it here). You can also stream a few choice tracks here. 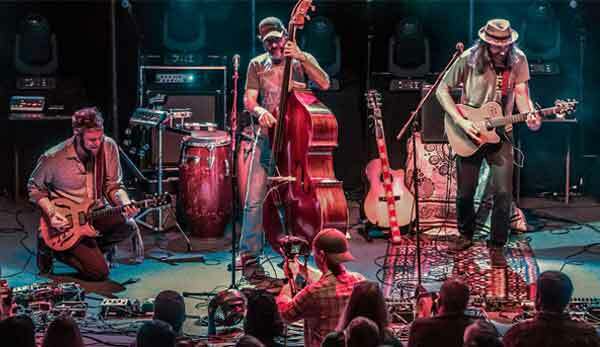 Masterfully filmed and edited by Morning Moon Productions, this blend of concert footage, backstage interviews, and raw Dangermuffin moments will be a must-have for any Dangermuffin fanatic, and the perfect primer for any new fan. 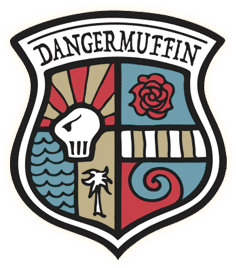 Perhaps the most exciting news is that Dangermuffin guitarist, Mike Sivilli, is now a proud daddy! Luna Rose, delivered at the end of December, is now the most diminutive (and certainly the cutest) muffin in the Dangermuffin family. We’re are stoked to announce that we now have a series of epic Spring dates lined up with the amazing Yonder Mountain String Band! Starting on March 27th in FL, we’ll be joining YM for shows in FL, LA, TX, NM, AZ & CA! Check out the new “Natural Dangers‘ tee in the shop. The first in a series of tees spotlighting different dangerous creatures, the Medusa Jellyfish is now on sale in both navy and chocolate brown. Super soft, super dangerous. Are you following the band on Spotify? If not, head on over to our profile page and click that “Follow” button. Shout out to Denver, Atlanta, and Chicago for leading in number of monthly listeners. Thanks y’all!